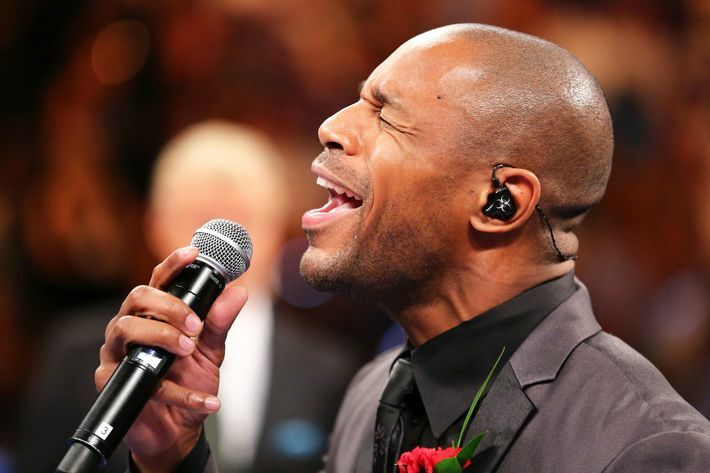 Tank is now 42 and full of cheerful quips like, “Tuesdays and Thursdays I’m the handsomest guy in town, still working on the other days of the week.” He celebrated a new milestone in February by earning his first-ever gold-certified single (500,000 units) with “When We.” In the streaming era, which elevates young acts at the expense of everyone else, a gold certification for a 42-year-old is a remarkable accomplishment. It’s especially rare for an R&B singer, since Tank and his peers are primarily heard on the radio format known as Adult R&B or Urban Adult Contemporary, which is usually ignored by the majority of mainstream gatekeepers on the airwaves and at other media outlets. In the last three years, just one other Adult R&B singer over 35 — a formidable group that includes Mary J. Blige, Maxwell, Alicia Keys, and Janet Jackson — has earned a gold plaque: John Legend with “Love Me Now.” But he also had significant support from pop radio; Tank’s “When We” did not.